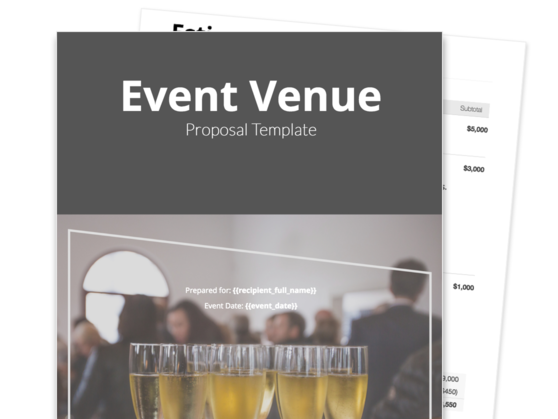 Save time and represent your venue well with this polished event venue proposal template. 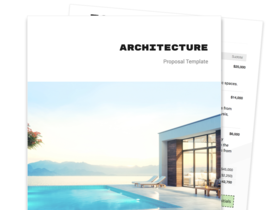 This venue proposal template includes a cover page, introduction, description of services, price estimate, and a signature page with integrated eSignatures that will help you secure each new client quickly. Take advantage of a convenient and professionally designed event venue proposal template that you can easily edit and customize according to your specifications. Easily and effectively introduce your venue to your prospective clients by highlighting its attractive main features and its high-quality amenities. 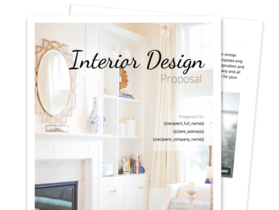 Create a proposal that gives your potential customers all the information they could possibly need to make an informed decision and close the deal with your venue. Impress your prospects with attractive, high-definition photographs of the venue being used in past noteworthy events. This section gives you an opportunity to highlight what sets your venue apart from others, and why your prospective client should choose to rent it rather than the other choices they may be considering. It’s also important to briefly touch on the notable features and amenities of your venue, as well as any big-name events that may have already been held there in the past. Provide your potential clients a virtual ocular inspection by supplying this section with some choice photos of your venue, preferably images that show it being used previously for lavish events. This is key to convincing them that your venue is the choice to go with. In this section, you can introduce yourself as well as other key members of your team that your prospective clients will be dealing with when renting or hiring your venue. Make sure to provide photographs and contact information as this can lead to further inquiries about your facility. Illustrate in this section the process or workflow that will begin once the deal has been finalized and your potential client has locked in the details of their event. By enumerating the milestones and giving them concrete completion dates, you show your client that you have everything pre-planned and set up in advance—all they have to do is to say yes! When it comes to finalizing the deal and ensuring it closes successfully, your client needs to completely understand what they’re getting into should they accept your proposal. As such, this section serves to answer any questions they may have regarding your venue, such as the venue fee itself, your proposed venue dinner package, as well as any optional extras or additional services you may offer. Costs should be properly itemized and totaled for complete transparency. Planning a once in a lifetime event is important for both you and your clients. 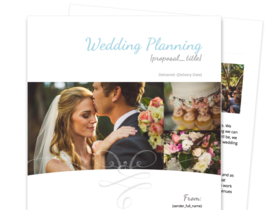 Impress your new prospects with this elegant and detailed wedding planner proposal template.